1. I will work to help elect enough Democrats in the State Senate to capture the majority. I will also work with moderate Republicans who are open to repealing Tabor & Gallagher. 2. As the next Governor, In January 2019, I will work with the State House leadership to create a repeal bill that will work in stages. We would also have to address the Gallagher Amendment. I would like to repeal Gallagher, so each individual county can set their own mill levy rates. It should not be a one size fits all formula at the State level. Gallagher in 2020 will devalue property values in rural communities between 20% - 30% if this is not addressed. The result will be a continued loss of school funding in disadvantaged school districts around this State. 3. Put the Tabor and Gallagher Repeal question up for a Statewide vote in the Fall of 2019. I will campaign in all 64 counties on educating Coloradans on why we need Tabor & Gallagher repealed, and also explain what the resulting benefits will be to each community around the State. 4. If the Statewide vote passes, it will get kicked back to the State House and State Senate to begin the process of unwinding Tabor and Gallagher out of our State Constitution. 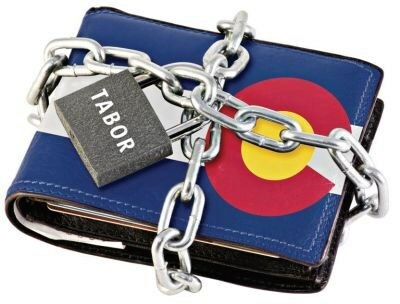 Tabor is a very complicated amendment that is strangling our State resources. We must work together to repeal this amendment, so our State can meet our financial challenges. I am against the Tabor Amendment, because we need a rainy day fund for the unknown. Our State needs the flexibility in our budget to fund very important projects and programs. Colorado is growing, and so are the traffic problems. Our Schools are underfunded. I will provide leadership working with mayors and other leaders around our State addressing these issues. We have to get the votes in the State Senate, in order to begin the process of repealing Tabor. We have to plan for our State's future, and getting rid of Tabor, will help to provide more resources to solve these very important problems. Our kids will greatly benefit as well, by properly funding our schools, we can give school districts more resources; so our kids can compete, grow, and learn. Join me on this effort to properly fund our future!